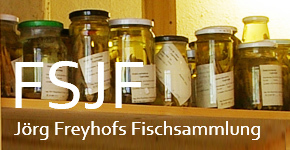 Welcome to Jörg Freyhof's webpage. 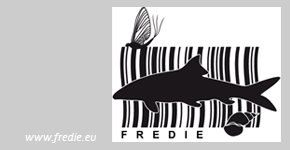 Here you find actual news about ongoing projects, fieldwork, publications and my fishes. Also you find my CV here. 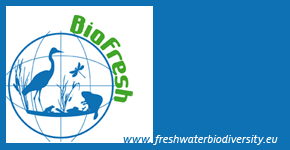 You can browse through up to date checklists of freshwater fishes of Germany and Europe. 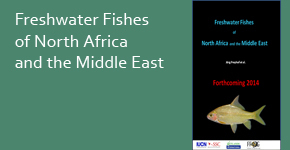 Soon checklist for North Africa and the Middle East will be made availale also. 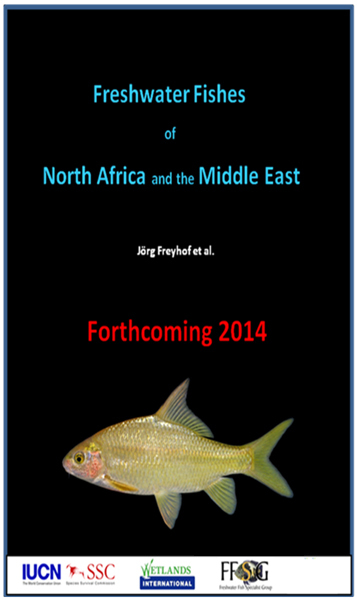 My fish collection (FSJF) will be made available here in the near future. Still not all parts of the webpage are completed as I work on it step by step. If some fields are empty, come again later to have a look. My webpage is regularly updated and all the time you might find new stuff added.